Ericsson operates in more than 180 countries providing telecommunication equipment and related services to mobile and fixed network operators globally. Ericsson Supply Site Tallinn is one of the most largest manufacturing units of the corporation where nearly 2000 people of 30 different nationalities work. We value job satisfaction and personal development of our employees and work on it consistently. 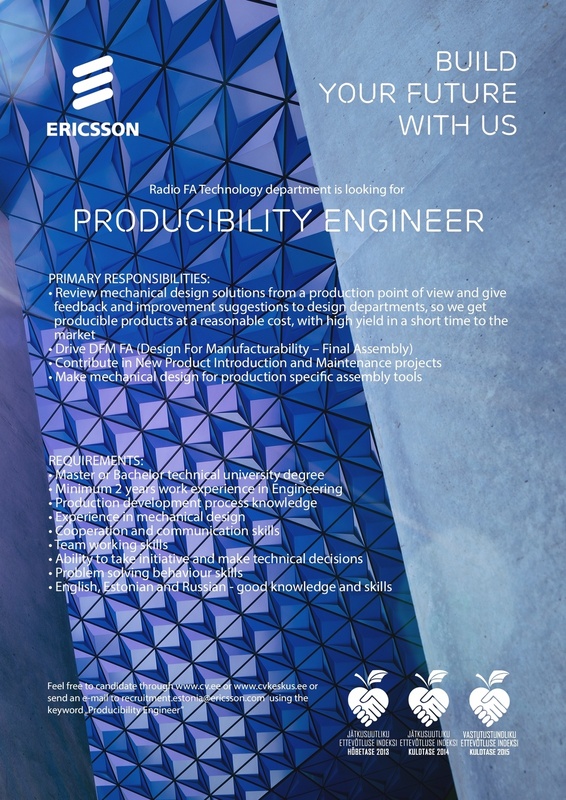 By joining Ericsson´s team you will get a chance to be one of the creators of the world´s future technology !